Effective alternative to cast-formed, elastomer pads, these polyester synthetics are effective for a variety of optics, ceramics, semiconductor crystals, soft glass, plastics, and special metals. Non-woven, fiber glass polishing material comprised of random rayon fibers bound by a resin material. Unique line of polyester felts impregnated with polyurethane for high surface precision polishing. Fast, maximum stock removal on ceramics, glass, plastics, semiconductor, crystals and specific metals. Available in die cut, PSA discs up to 54 inch diameter. Engineered to produce exact surface finishes in a variety of polishing conditions. For optics, semiconductor crystals & wafers, ceramic, mirror, plastics. A top choice for polishing photo mask, specialty glass, silicon, gallium, arsenide, and semiconductor wafers. 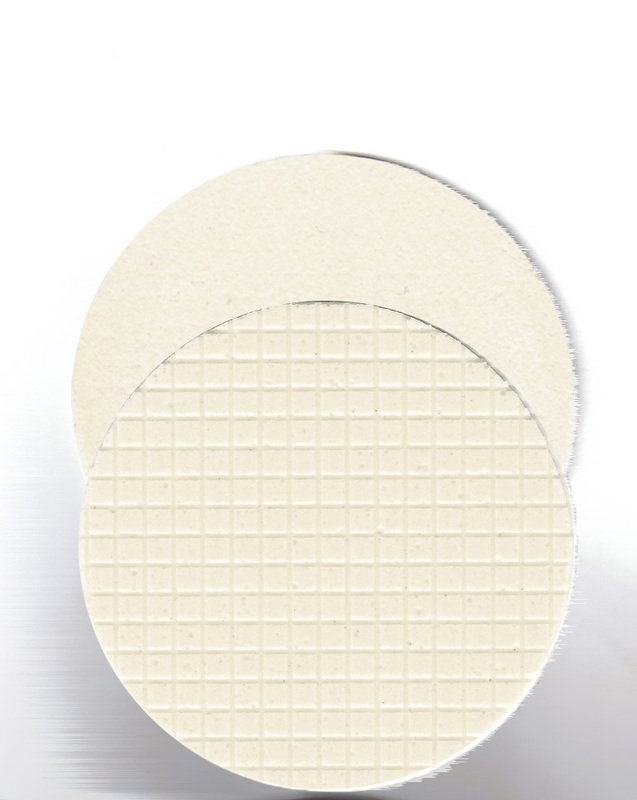 Semi-porous pad matrix exposes slurry to working surface facilitating stock removal and fine finish. Applications include fiber optics, infrared materials, and broad range of glass and crystal.